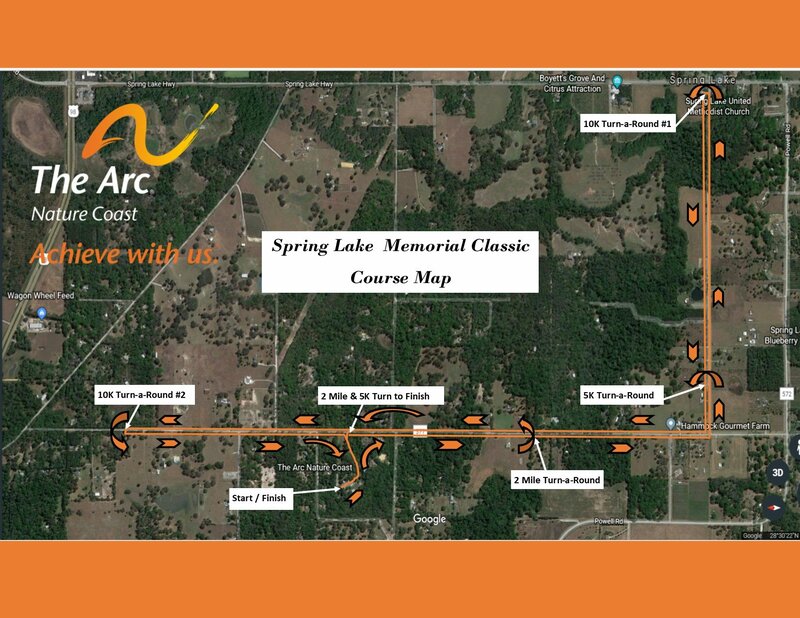 The Spring Lake Memorial Classic is located in scenic eastern Hernando County, Florida. But don't let the majestic trees and peaceful setting fool you - these are some of the toughest hills in Florida! All three courses take participants along shaded tree draped roads and over some very challenging hills! Make sure that the sound of your pounding heart and deep breathing don't distract you from observing the wonderful surroundings along the course. The area is home to a variety of native plants and wildlife such as majestic oaks, magnolias, hickory and cedar trees, red hawks, bald eagles, wild turkeys, pileated woodpeckers, bob cats, foxes, coyotes and white-tail deer - just to name a few.... So while doing this run be sure to keep your head high, breath deep and keep your eyes peeled - it truly is a treat for the senses! Proceeds from this event support individuals with intellectual & developmental disabilities. Come run Florida's toughest, most scenic, race course and Achieve with us! 2 Mile Category - All participants are chip timed and receive a "Walking" medal. There are no age brackets. 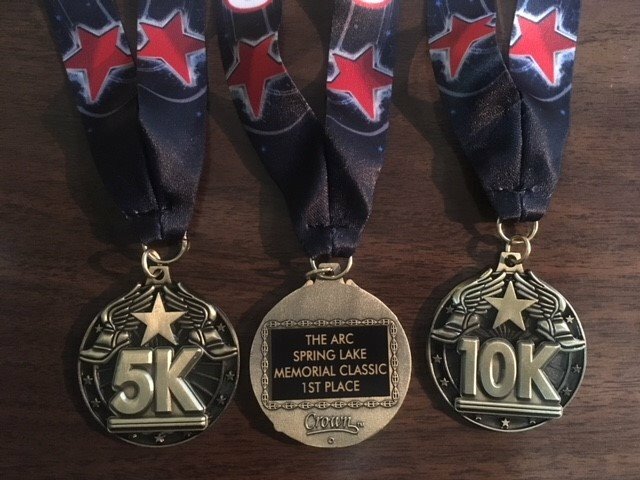 5K & 10K - Awards are 3 deep in each 5 year age bracket for both female and male. Grand Champion awards will be given to female and male for Overall (all ages), Masters (40-64), and Senior (65 & over). Awards ceremony to immediately follow race. 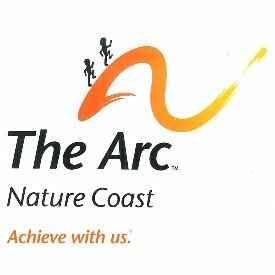 The Arc Nature Coast, Inc. The Arc Nature Coast is a 501(C)3 charitable organization serving individuals with intellectual and developmental disabilities in Pasco and Hernando Counties, Florida. All proceeds from this event support our charitable mission to provide community based supports that include housing, employment, education, transportation, recreation and advocacy. 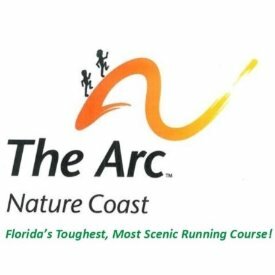 The Arc Nature Coast invites you to come run Florida's toughest race course and Achieve with us!